A lightweight, but definitely tough and reliable custom case, just for you! Your stylish photo printed sharply on the back of the case. Choice between 2 semi-transparent base colours - red and purple. Colourful protection for your device! 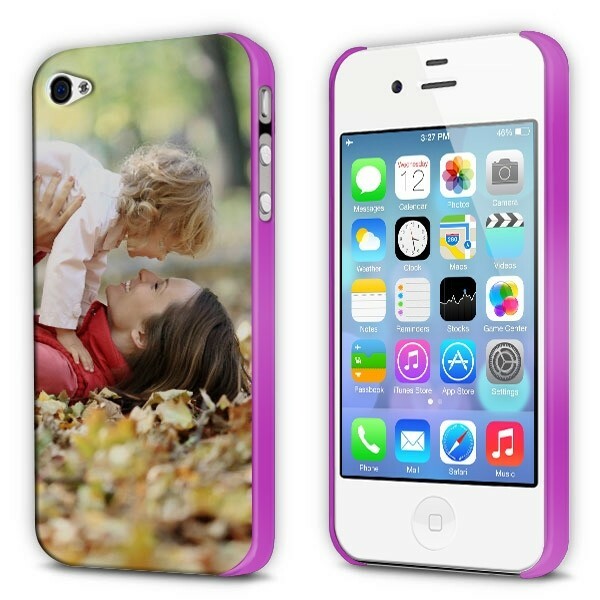 GoCustomized has created a colourful way of protecting your iPhone. Everyone has invested a lot into their device, so why wouldn’t you want to keep your iPhone protected from damages such as scratches or dents? You can completely personalize your colourful phone case. Is it easy to make my own case? How do I design a GoCustomized case? Once you continue you will find yourself in our design program. From here you can upload your image straight from Facebook, Instagram or from your hard drive. if you need some creative inspiration you can have a look on our Pinterest account. Here you will find already made cases and images to use while you are designing. Once you are done you can place your order, you can choose one of our payment methods for a safe payment. How will my personal case be made? Once you have finished designing your case, you can leave the rest up to us. Our production team will start processing your order as soon as your order comes through. When you order on a working day, will do our best for your order to be dispatched within 24 hours. Because our cases are made piece by piece, you can be assured that your case will be the best quality.